Why OC Dental Center for General Dentistry? 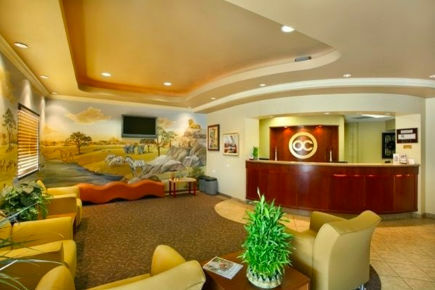 OC Dental Center is a Santa Ana dental office that has been making beautiful smiles for our patients for over 20 years. We make it very easy for our patients to afford all of our general and cosmetic dental procedures by offering affordable financing plans and also accepting many different types of insurances. All of our dental procedures are carried out right in our Santa Ana dentistry so you don't have to go to different specialists to finish your dental work. We are also a "Green" dentistry, meaning we use all-natural, organic toothpaste, mouthwash, and other natural oral care products that will nurture your mouth's overall health. We are just minutes from South Coast Plaza. Below you will find some of the dental services we offer.